Simply put, rent-to-own is renting with the option to buy. The deal is set up using an Occupancy Agreement and an Option to Purchase Agreement. With rent-to-own, then tenant-buyer has the option to purchase the home at a pre-determined price within a given time period. 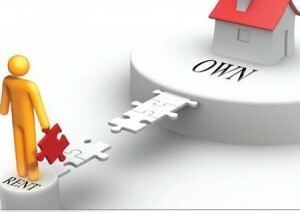 Rent to own is also known as lease to own, lease option, lease purchase, or rent to buy. The tenant-buyer puts forward a small down payment. This is credited towards the purchase price when they purchase. The tenant-buyer makes monthly payments and a portion of each payment accumulates additional down payment funds which are also credited towards the purchase price when they purchase. During the rent to own program the tenant-buyer works to establish or repair their credit. At the end of the program, the tenant buyer applies for financing through a conventional lender. With an accumulated down payment and a mortgage pre-approval, the tenant-buyer purchases the home and officially becomes a homeowner!